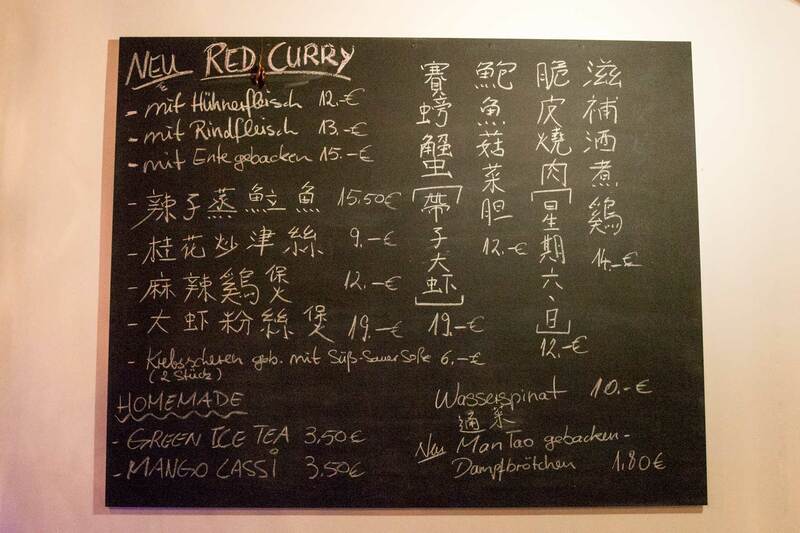 For a properly authentic, Hong Kong style Chinese meal in Berlin there is only one destination: Tak Kee in Wilmersdorf. 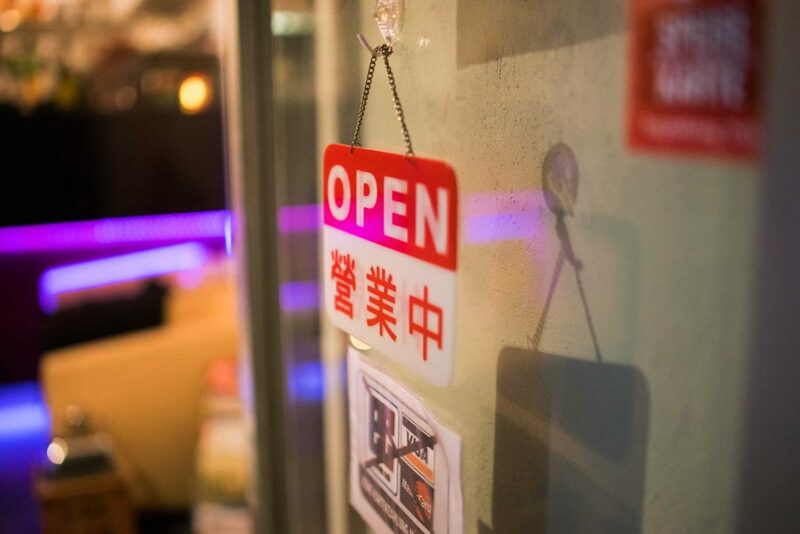 An off-the-grid Chinese eatery operated by a lovely couple who will go out of their way to make your visit extraordinarily pleasant. 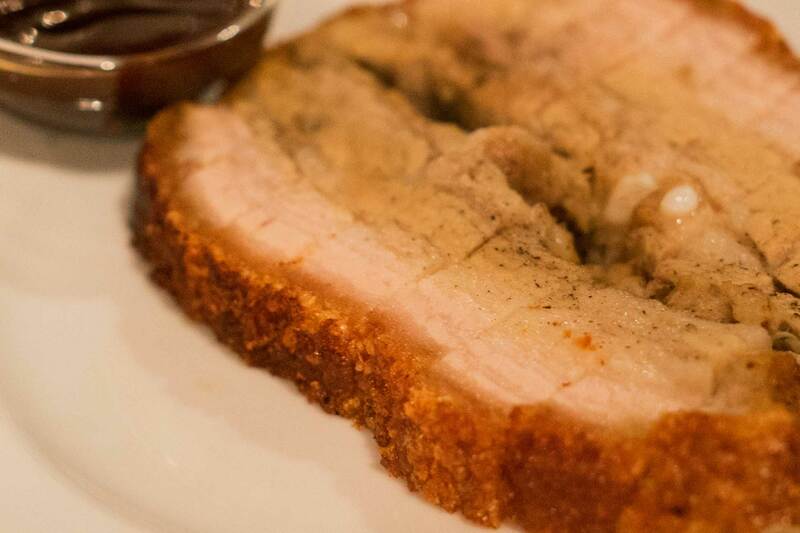 Swing by on a weekend for a slice of their signature dish: The epic grilled pork belly. 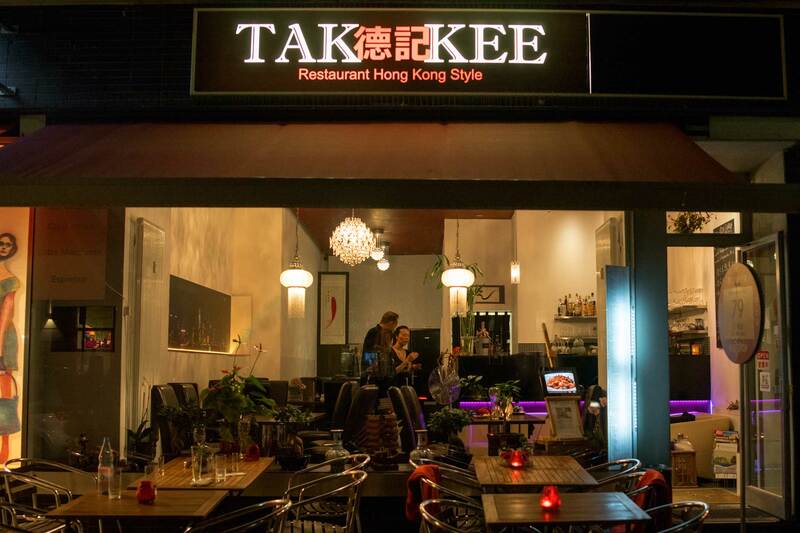 Tak Kee started appearing on my radar in late 2014 when I heard a rumor about an eatery in West Berlin serving Hongkong style Chinese food. After my own mind-boggling culinary food trip to Hong Kong in early 2015, my desire to recreate this back home exploded and Tak Kee jumped up the ranks on my to-visit list, but due to its rather remote location it did however take me until the summer of 2015 to actually visit the place. Definitely a mistake. 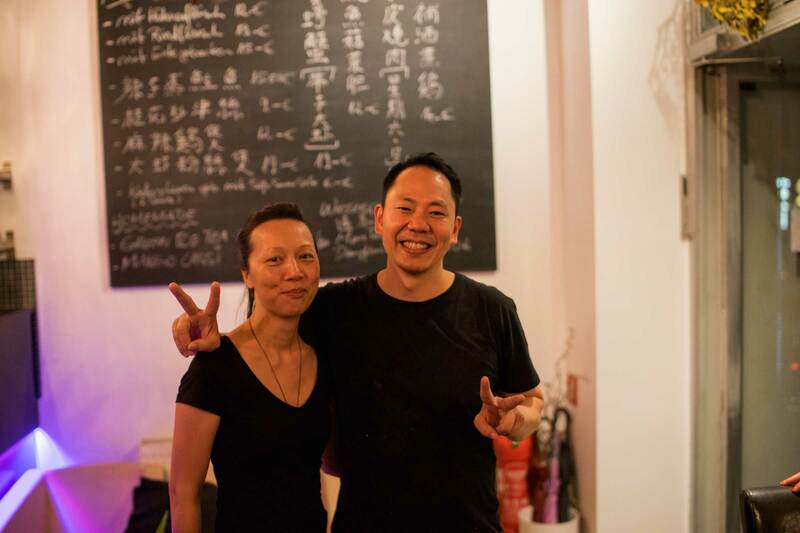 It turns out that Tak Kee is not only a top location for Chinese food in Berlin, it’s also a warm and welcoming eatery operated by an extraordinarily lovely couple. 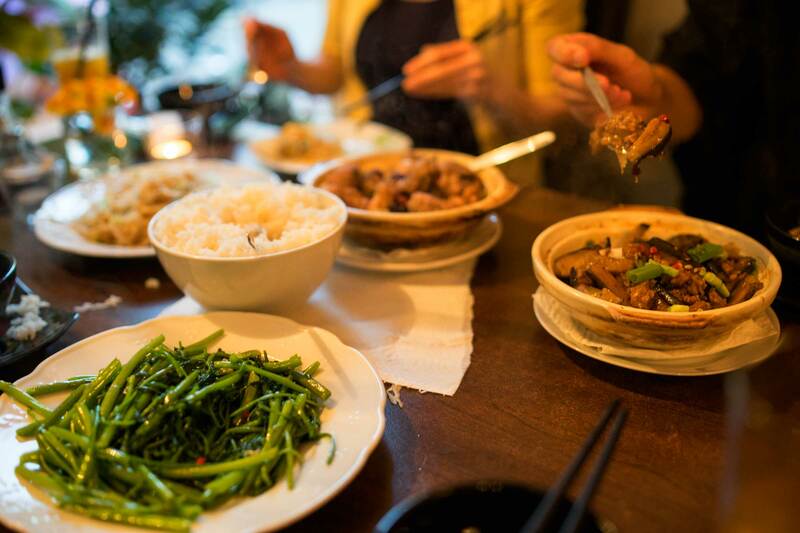 Meet Yuki and Ben, a Chinese couple who hails from Hong Kong and who chose to pursue a career within gastronomy in their new home town Berlin back in 2013. It was from the beginning clear to them that they were going to serve Chinese food as they know it: Authentic and old school Hong Kong dishes that reminded them of home. This means food heavily influenced by Cantonese cooking but also dishes you might not expect and who have their roots in the multi-cultural society of the former colony. The best way to find Tak Kee is to look for a red Hong Kong bus stop sign on Wilmersdorfer Straße that’s been placed in front of the door. 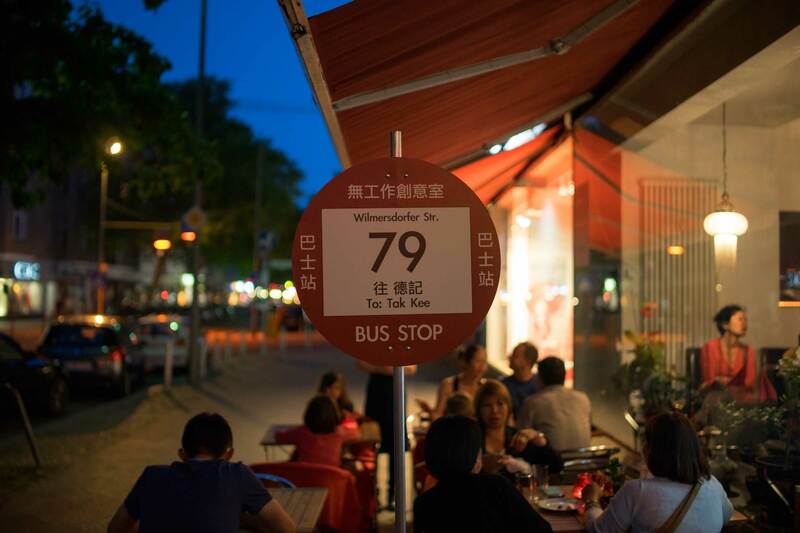 The bus stop with the number 79 acts as a beacon for a good Chinese meal. The Tak Kee venue is neither especially charming nor beautiful, so let’s talk about the food instead. 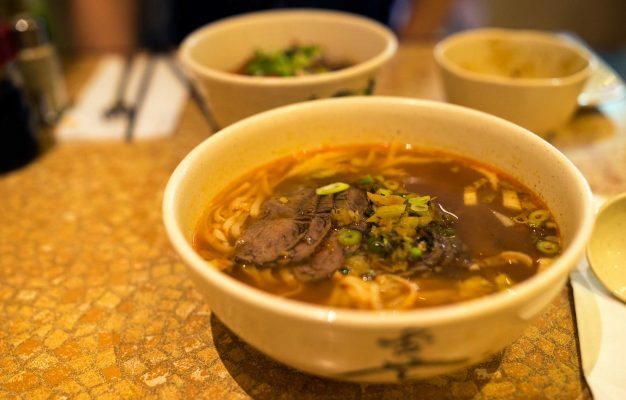 The menu at Tak Kee is divided between the classic, printed menu and the seasonal menu that’s written on chalk boards on the walls. Most of the dishes on the wall are written in Cantonese so unless you can read Cantonese you might need some help here. Luckily Yuki, who takes care of the whole front of house experience, is ridiculously friendly and will be more than happy to walk you through the seasonal menu. 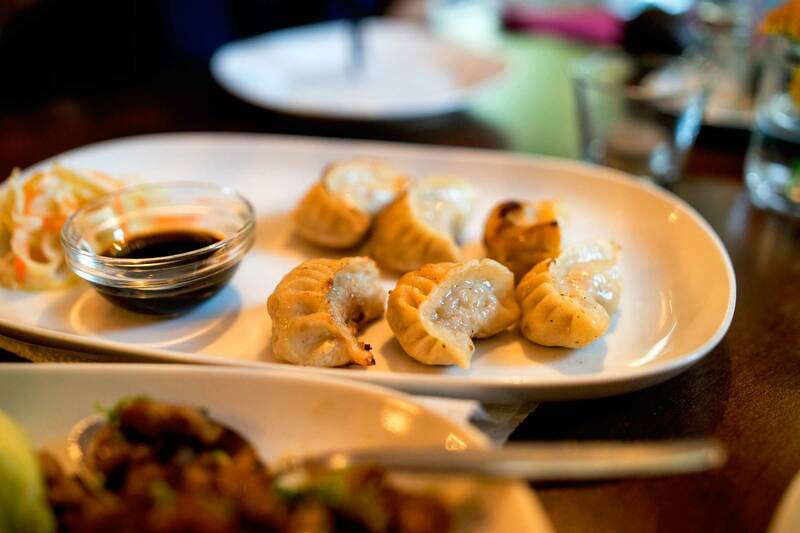 A meal at Tak Kee should be kicked of with some of the lovely starters. The fried pork dumplings are bloody great, mighty dangerous though as you’ll want to order another plate. Save your appetite, because the Choi Bao and the Apka Bao are fantastic as well. You’ll have to assemble your wraps yourself using pork mince or crispy duck and lots of hoi sin sauce. All of these are seriously dangerous starters, but the Choi Bao proves to be a lot better than the duck. Moving on to the mains you will want to have a look at the chalkboards. 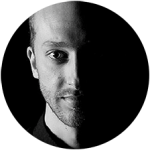 On there you might find some creative inventions by chef Ben, like Sichuan inspired fish and chicken, Ginseng chicken or proper old school Hong Kong staples like fried glass noodles with eggs and leeks, a dish whose delicious simplicity put a massive smile on my face. Another dish that made a lasting impression was the water spinach, a sublime dish from the seasonal menu that is best ordered with fermented tofu and where the lovely texture of these deeply green leaves is accentuated perfectly by the umami-packed flavours of the tofu. Absolute winner and I shall weep the day it goes of the menu. 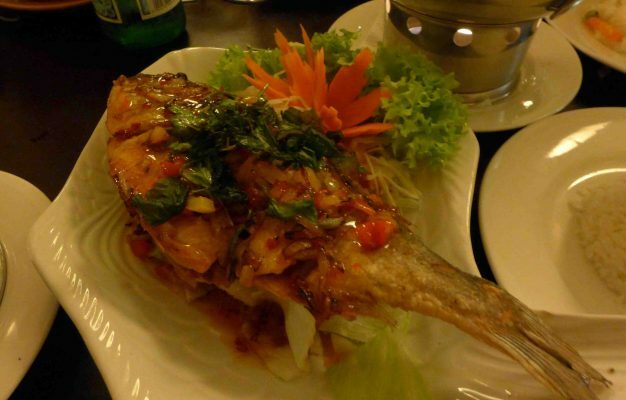 The deep fried Loupe de Mer with black been sauce is another winner, although the fish is not cooked as perfectly as it comes at Da Jia Le, the crispy crust of the fish is coated with a killer sauce. Once you visit Tak Kee you should try at least one of the Hong Kong classics at the end of the printed menu, they come in blazing hot clay pots and one of the favourites is the aubergine with pork and saltfish, a dish where the addition of the dried saltfish merely adds another layer of complexity to the juicy and silky soft aubergines, a dish I’d never experienced that way before. The chicken dishes that come in these clay pots do yet have to convince me in the same way, I’ve found them to be a it boring and tough to eat from the bone. 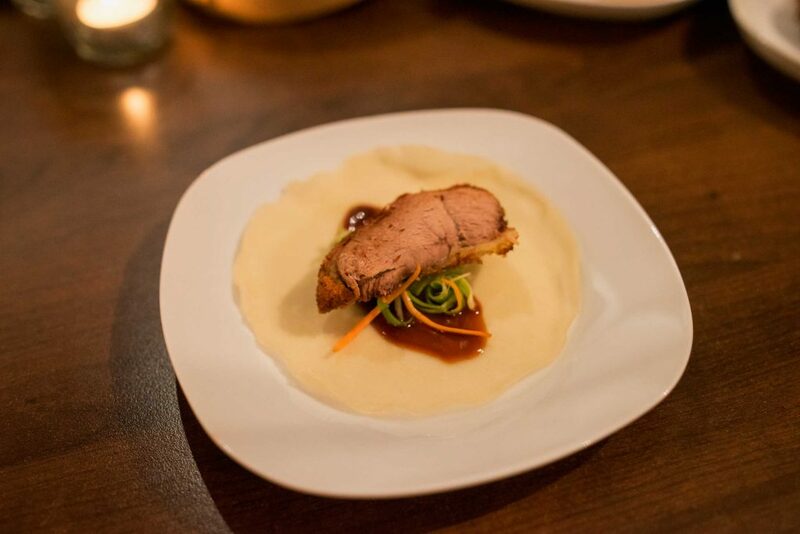 Last, but really, really not least, I must end this story with the tale of a piece of pork. 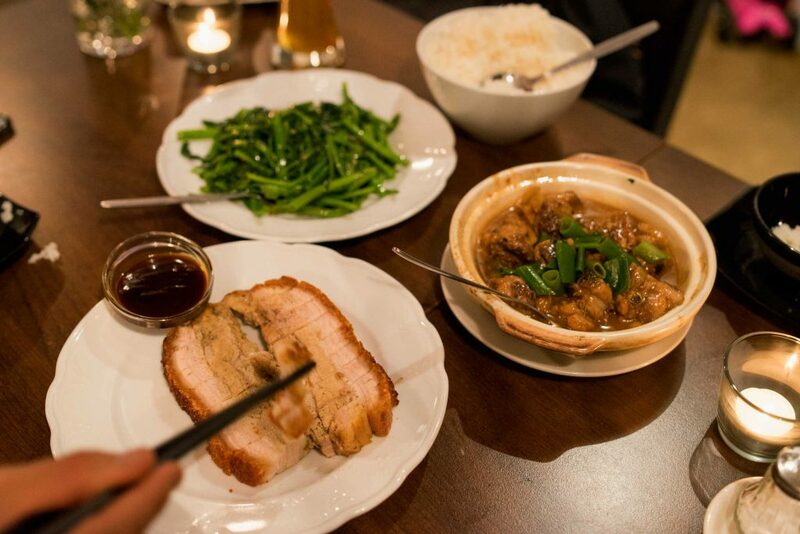 Tak Kee has a signature dish that’s only served during weekends, and that’s the grilled pork belly. If you’re lucky to get a hold of some of this pork you’ll be the lucky recipient of two thick slices of juicy pork belly with the some of the most beautiful layer of crackling you can get in Berlin. Perfect crackling is an art form and chef Ben is a true crackling artist. 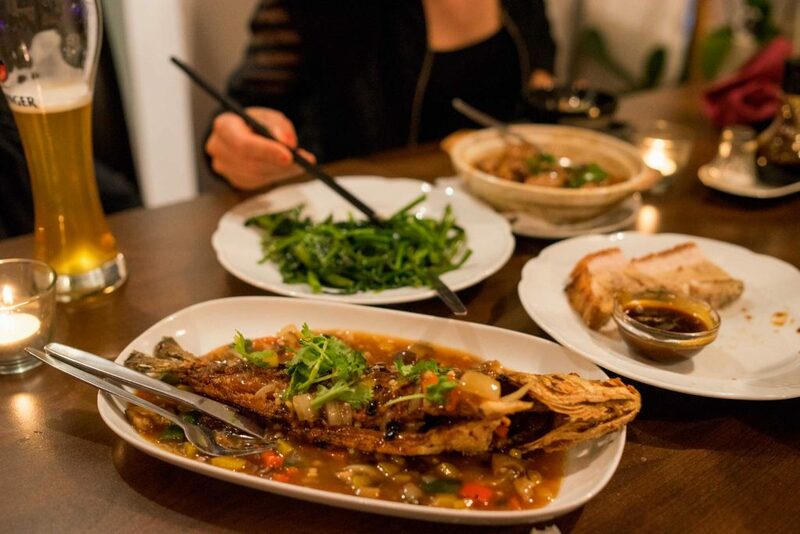 Tak Kee is a little Chinese gem and my few visits have already catapulted this place onto my list of favourite Chinese restaurants in Berlin. A recent, glowing review in the South China Morning post resulted in lots of good PR and turned the restaurant into a prime destination for Chinese tourists who are visiting Berlin and can’t survive without proper, Chinese food. The lovely and very unique Chinese food in combination with the service speak for itself. 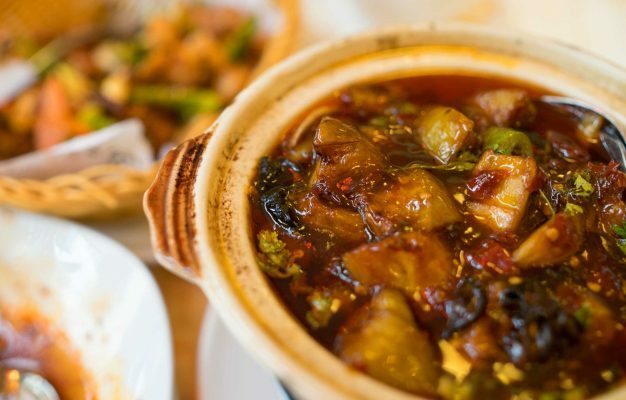 Tak Kee is on the way to become one of the best Chinese restaurants in the city and it should also be on your bucket list.